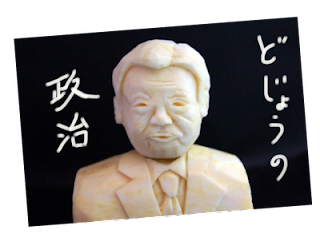 He is the 95th Prime Minister of Japan. Actually He is already the sixth prime minister in recent five years. But that doesn't matter for us. "I crawl like a loach and do good work patiently"
the convergence of the Fukushima nuclear plant accident. much damage gave to the Kansai area. The ruling party, the opposition party... does not matter. and to do the best with every effort now.